Phildel. Singer / songwriter / composer (and so much more) based in London. Phildel’s anticipated debut album ‘The Disappearance Of The Girl’ was released earlier in 2013. Soon after the release date it caused quite a stir within the media. ‘The Disappearance Of The Girl’ hit the number 1 spot as best-selling album in the ‘Folk Singer-Songwriters’ chart, in Amazon UK. With numerous reviews, airplay on Steve Lamacq’s BBC Radio 2 show, Eddy Temple Morris Xfm remix show, a feature in ‘The Observer’ and ‘Independent’s’ Arts & Culture supplement. An appearance on TV’s BBC 1 ‘Breakfast show’ and countless other radio interviews. In July 2013 she collaborated with the hugely successful musician / Producer ‘Sleepthief‘. Sleepthief’s upcoming 3rd album ‘MORTAL LONGING’ will contain a track ‘Dust&Cloud’ featuring Phildel. This, dedication and hard work has taken Phildel on many new ventures, here in the UK and globally and is about to embark on US / Canadian tour starting 1st November through to the 18th.Watch this space! 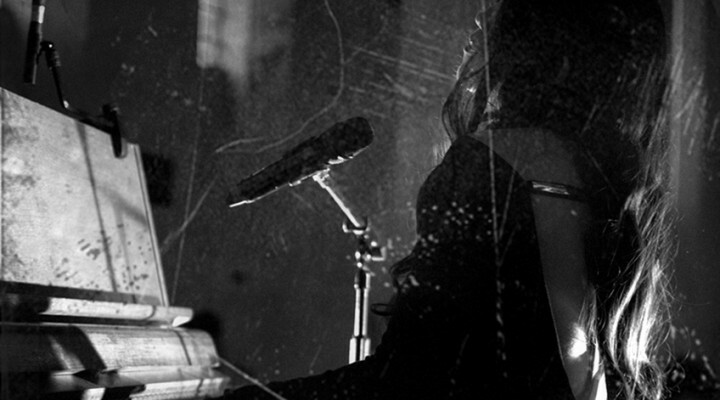 Want to know more about Phildel? Read on……… You say your music is inspired by fantasy. Is this from personal experiences? Yes definitely. It comes from having a real absence of music that I experienced when I was growing up. My mother married a man who was really religious and because of that we didn’t have any music at home. Being a creative person it was incredibly difficult. I got used to escaping into a world of my own, to deal with all the restrictions I faced. The way I create my music is by going back into that world of my imagination and creating things inspired by that. How were you inspired with your debut album? ‘The Disappearance of the Girl’ was inspired as a title because when I was 8 years old, my life changed so drastically. Up until then I had pretty much an average background. Suddenly I wasn’t allowed any music. I had to change my name, my entire lifestyle changed. I felt very trapped in this new identity that was being forced upon me. It felt like I’d just disappeared from the culture I was used to. Is it true your music’s been used by fashion designers? A really great award winning designer Henrietta Ludgate used ‘Beside You‘ and ‘Piano B‘ for her live catwalk shows, as part of ‘London Fashion Week’. I performed live and contributed the soundtrack for the show. What does ‘Storm Song’ mean to you? That song is really inspired by my Irish background. The banshee features in the song, and the really epic Irish stories that always have mythical supernatural beings as part of them. I grew up listening to those stories, listening to my mother and my Irish auntie telling them to me. When I wrote the song I was really in that frame of mind, these stories take you somewhere else. They become epic in their nature with these sorts of characters, like the banshee. Also it’s a romantic song and I got right into that mind set when I wrote it. ‘Storm Song’ has been around for several years now. Why only now is it being released? It took me a while trying a number of different arrangements. The piano version was originally how it was written. Now what you hear on it is orchestral percussion, synths, strings and choirs. It took a while to decide what I really wanted it to be. We went into the studio for over a year. The producer, Ross Cullum went through all of my thinking to make sure we were making all the right decisions. It’s been a very long process. Do you feel you’re living your fantasy through your music or are you actually creating it? I think it’s both. It starts off with a yearning to express a certain part of my identity in a certain way. Once the song starts flowing, it becomes more developed and enhanced. Ideas for different characters pop into my head and different landscapes suddenly emerge in my mind. They’re pretty far out. Choirs for me normally represent spirits, like water spirits. ‘The Disappearance Of The Girl’ in-fact formed in my imagination set underwater, with these water spirits representing all the choir parts. Do you find making video’s comes as natural as making music? Yes it does. I see the whole video in my mind when I’m creating the music. I see exactly what I want visually to be happening. It all goes hand in hand as a process. I feel a shyness within your videos? I don’t want the videos to be about me, I want them to be representative of any individual. Everyone goes on a journey through life. The metaphorical journey through the landscape in my videos is a kind of emblem for that journey, and the discovery of your identity in yourself. Would you say it’s the nature of the universe that influences your music? I really believe that the nature of the universe is inherent in everything. I like to look at nature and the universe as a guiding instinct. It takes you right back to the simplicity of existence. There’s lyrics in one of my songs ‘Union Stone’ “Stones change shape in time, willingly they compromise” looking at them you’d never imagine they could completely change their shape, but in-fact they do over time and for me that represents how possible it is for people to change. Finally, words of encouragement for anyone starting out in music? I’d say be true to yourself. Don’t worry about copying what is fashionable at the time. Follow your instincts. Do what you think sounds good and don’t worry about what anyone else thinks. By doing that you’ll create the most honest music. The most important thing is to be sincere when you create any kind of art. This entry was posted in Interviews and tagged Phildel, Phildel Interview, The Disappearance Of The Girl, The Glass Ghost. Bookmark the permalink.